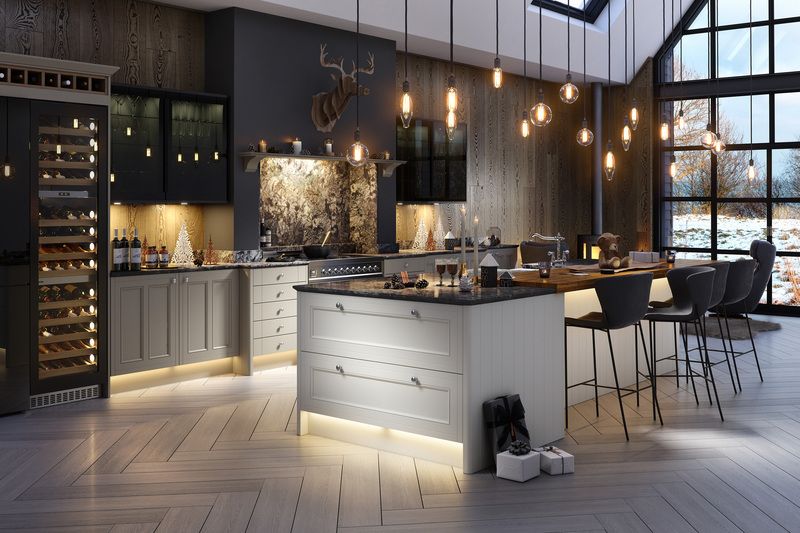 A festive kitchen for Wren Kitchens to get everyone into the christmas spirit. 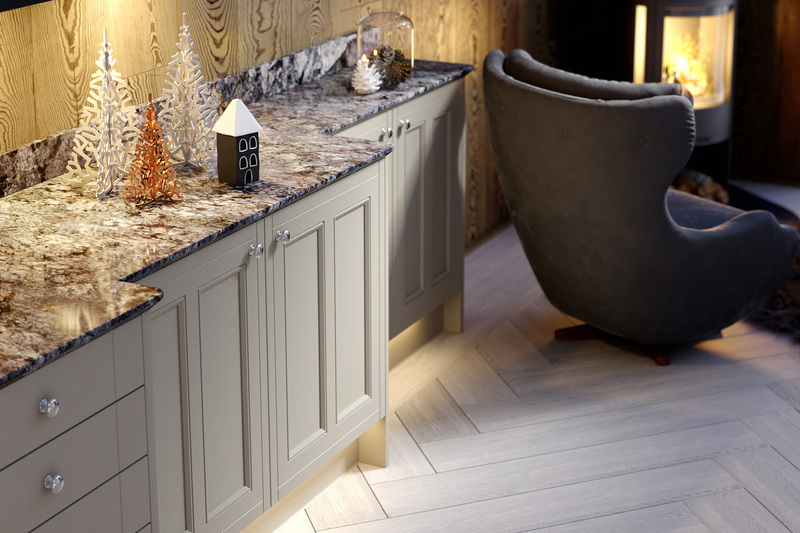 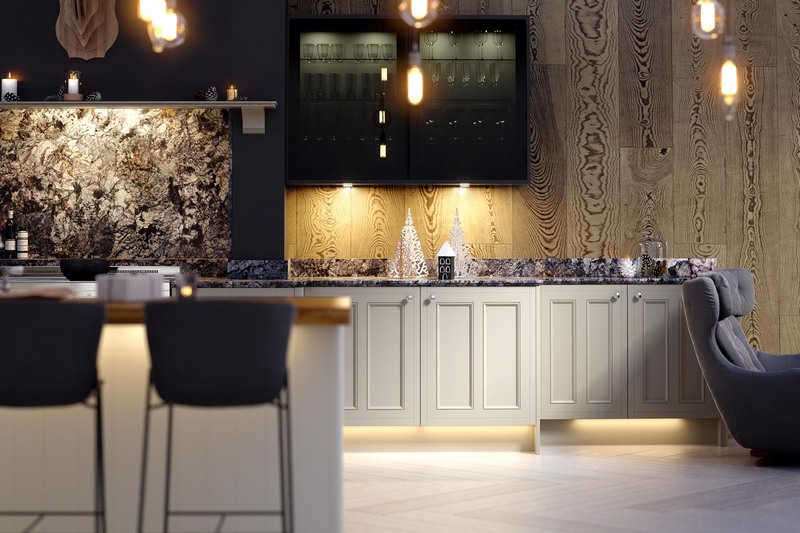 Create a stunning christmas inspired image of a kitchen space which will inspire potential customers. 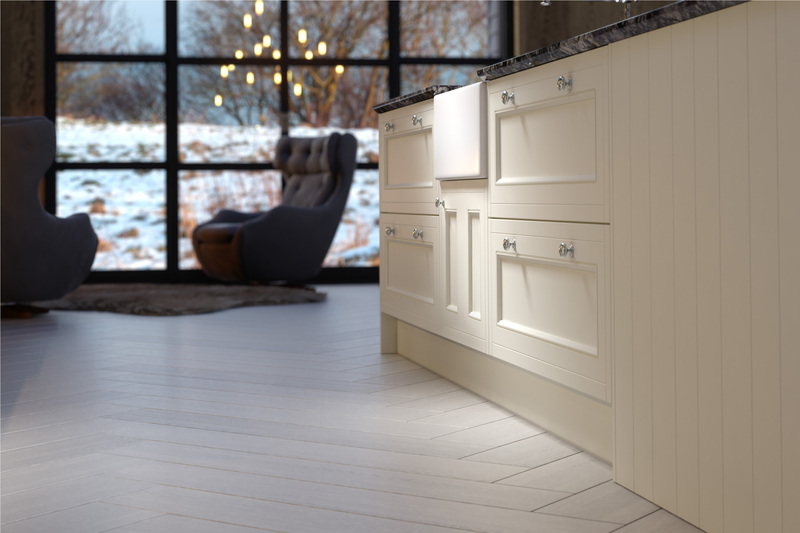 We tried to avoid creating a big cliche space, instead opting for a paired back design with hints to the festivities about to unravel. 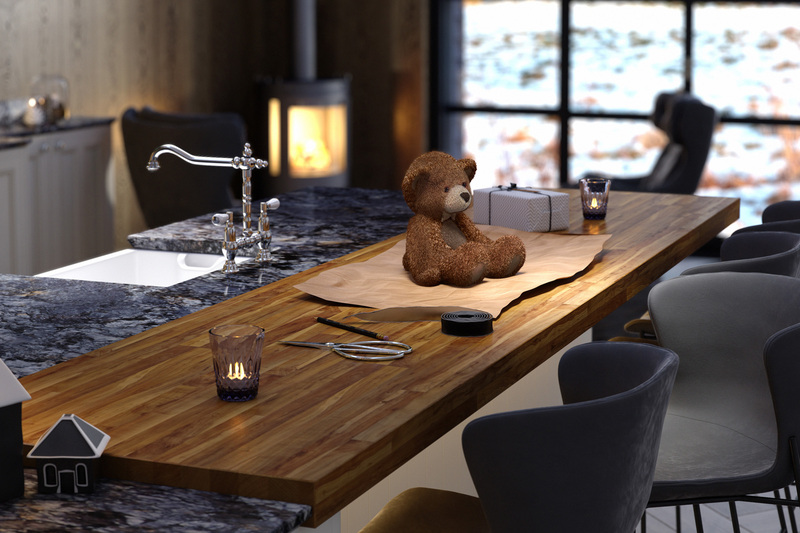 Late afternoon lighting, hints of mulled wine and present wrapping create that cosy Christmas atmosphere.